Previously, we reported significantly reduced pain and improved mobility persisting for 6 months after kyphoplasty of chronically painful osteoporotic vertebral fractures in the first prospective controlled trial. Since improvement of spinal biomechanics by restoration of vertebral morphology may affect the incidence of fracture, long-term clinical benefit and thereby cost-effectiveness, here we extend our previous work to assess occurrence of new vertebral fractures and clinical parameters 1 year after kyphoplasty compared with a conservatively treated control group. 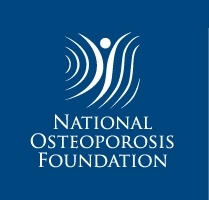 Sixty patients with osteoporotic vertebral fractures due to primary osteoporosis were included: 40 patients were treated with kyphoplasty, 20 served as controls. All patients received standard medical treatment. 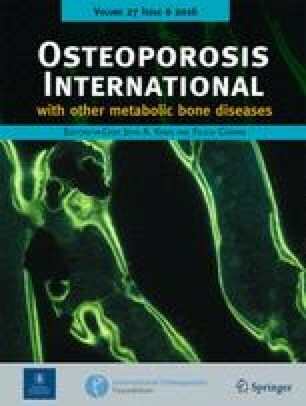 Morphological characteristics, new vertebral fractures, pain (visual analog scale), physical function [European Vertebral Osteoporosis Study (EVOS) score] (range 0–100 each) and back-pain-related doctors’ visits were re-assessed 12 months after kyphoplasty. There were significantly fewer patients with new vertebral fractures of the thoracic and lumbar spine, after 12-months, in the kyphoplasty group than in the control group (P=0.0084). Pain scores improved from 26.2 to 44.4 in the kyphoplasty group and changed from 33.6 to 34.3 in the control group (P=0.008). Kyphoplasty treated patients required a mean of 5.3 back-pain-related doctors’ visits per patient compared with 11.6 in the control group during 12 months follow-up (P=0.006). Kyphoplasty as an addition to medical treatment and when performed in appropriately selected patients by an interdisciplinary team persistently improves pain and reduces occurrence of new vertebral fractures and healthcare utilization for at least 12 months in individuals with primary osteoporosis. We are grateful for the support of this study by Biomet Darmstadt, Germany, Kyphon Europe, the Deutsche Forschungsgemeinschaft and by the Havemann family. Dr Taylor serves as a consultant for Kyphon Europe. All other authors have no conflict of interest.